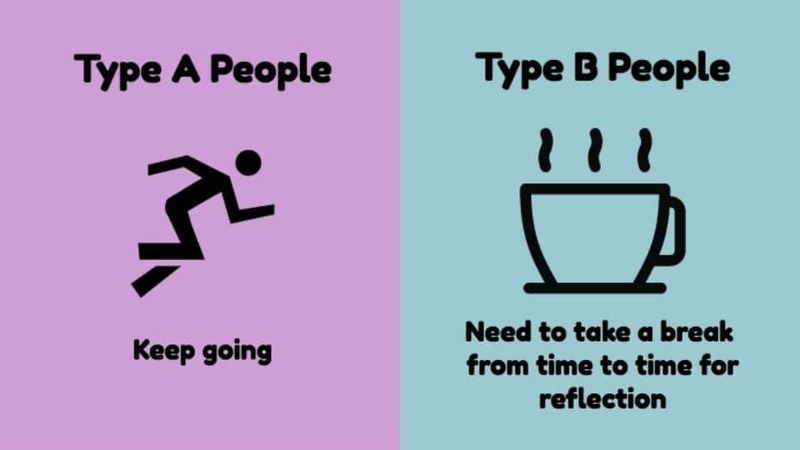 A or B: what’s your personality type? 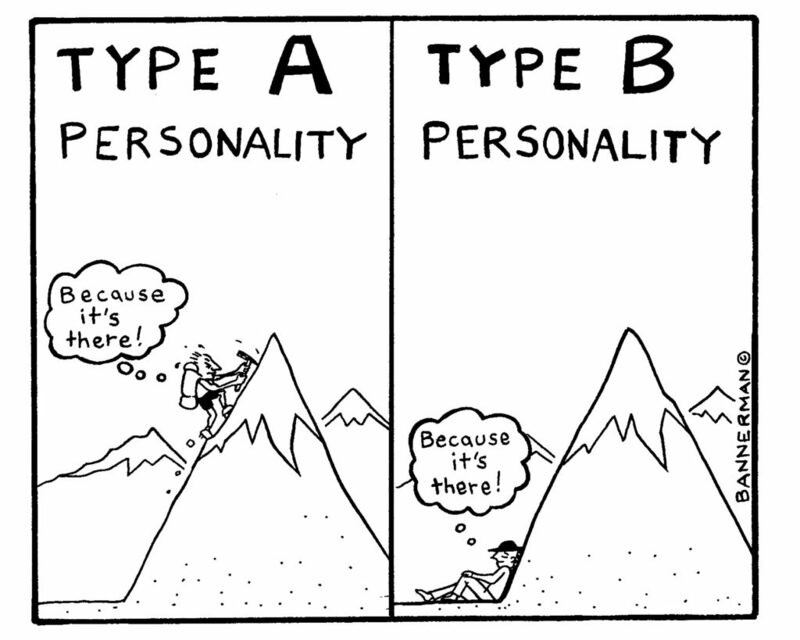 When we talk about personality types, you may have heard the phrases ‘Type A’ and ‘Type B’ thrown about here and there. These contrasting personality types are often compared against each other. But what do they really mean? 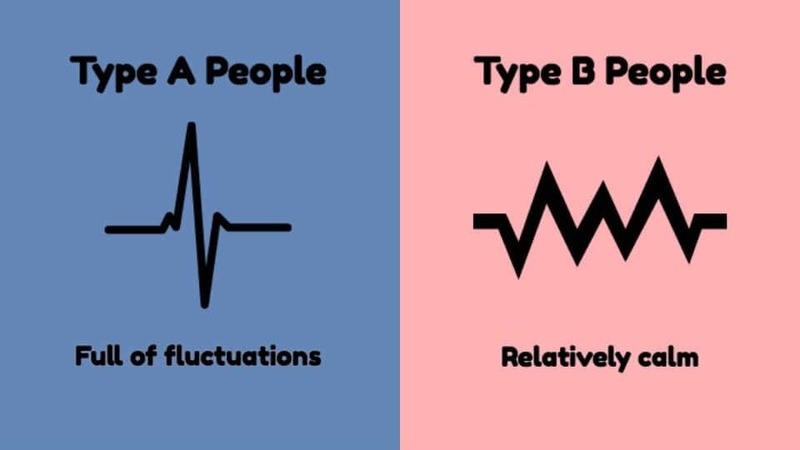 Already, we can see key differences between Type A and Type B personalities. For starters, Type A is more prone to stress than Type B. This stress may come from the fact Type A personalities are impatient and always like to work quickly and efficiently. Next, Type A Personalities are proactive, yet sensitive, whereas Type B individuals do not care what others think about them and go through life in a laid-back pace. Next, Type A individuals are concerned with winning, and are always competitive with everything they do. Type B personalities, however, are only concerned with enjoying their life, whether that means they win or lose. Lastly, because Type A personalities are more prone to stress, they are also more prone to heart conditions and heart disease compared to those who fall into the Type B personality category. In reality, there is no correct or incorrect answer to this. Throughout our daily lives we have to deal with a multitude of different scenarios and situations where aspects of both personality types would thrive. For example, in an analytical situation where you need to close a business deal before an allotted time, Type A would achieve better than Type B. However, in a creative situation where you are judged on your drawing skills, Type B personalities would rather take their time to create the best piece, than rush to produce a lesser quality drawing. The only real major difference between Type A and Type B is the prevalence of heart disease in Type A – which would be the only drawback. But this can be avoided by healthy eating, exercise and slowing down. So in short, neither of them are better. Everyone is amazing, yay!